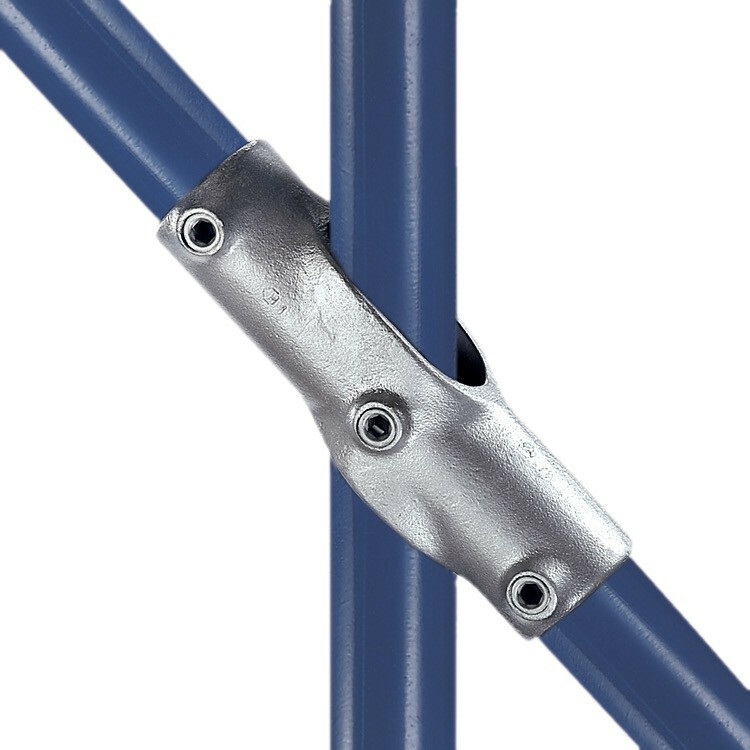 Designed as an alternative to the Type 28 fitting, this adjustable fitting can be used for railing on staircases between the mid rail and an intermediate upright which is required to remain vertical. 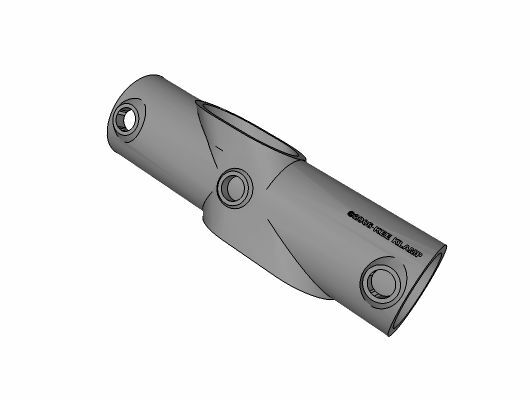 It may be used at any selected angle between 30° and 45°. Find more uses for Kee Klamp fittings by browsing our projects area. Click (hold mouse button down) and Drag to rotate the three dimensional image. 6 / Outside Diameter 1.315", 7 / Outside Diameter 1.660", 8 / Outside Diameter 1.900"